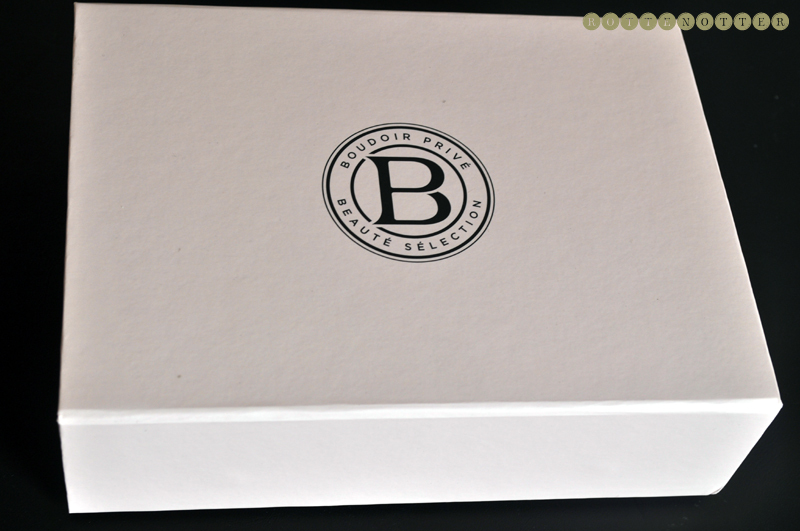 Again, I'm really impressed with this months Boudoir Prive box! I definitely think it's the right subscription for me although this will be my last box for a bit. I just can't afford the £10 at the moment while unemployed. Cetum Illuminating Mask & Creme De Lite - Not liking the smell of the moisturiser and wont be using this. It's too heavily perfumed to use on my face. The Mask smells nice though. Leonor Greyl Huile De Palme - This is a pre-shampoo conditioner treatment to soften and nourish dry and damaged hair. Sounds like it was made for my hair! Going to have to do a bit of google-ing for this one. It looks like the oil has solidified so wondering if you have to heat the bottle in some water first. Think I'm going to try this tonight when I wash my hair. Memo Paris Moon Safari perfume - Going to enjoy using up this perfume although it definitely won't be purchased with a £70 price tag for 30ml! It seems like it's one that will last on the skin for a long time. The website describes this as Bitter orange, grapefruit, lemon essence, primofiore, mandarin orangeneroli blossom, clary sage, verbena, vetiver, leather, tonka bean -since I'm so bad at describing scents! Rose & Co Rose Petal Salve - I've had a cuticle balm from Rose & Co years ago which I really liked. I wouldn't have chosen the rose one myself as I'm not a huge fan of rose scents but I love lip balms so going to give it a try. It's a great price too, being only £5. Korres Quince Body Butter - I was hoping for a Korres product in this months box and am glad I got a body butter. Love the fruity smell and can see this being one of my favourites from the box already. Studio Makeup Line Styler Pen - I find felt tip liners the easiest to apply so this one looks great. I swatched it on my hand and it looks good. It's really black and the felt tip means it's great for either thick or thin lines. It washes off with water though so there might have a problem with wear. I'll update once I've worn it for day or so. Update - Also forgotten so mention there was a RMK leaflet which entitles you to a complimentary skin consultation and a relaxing mini facial. We don't have a Selfridges in Liverpool so might make a little day trip to Manchester. There's a restaurant I really want to go to as well. Really amazing box isn't it? :) I LOVE Korres products! Great selection of products. The Body Butter is something i really would like to try, i should have signed up to this box. 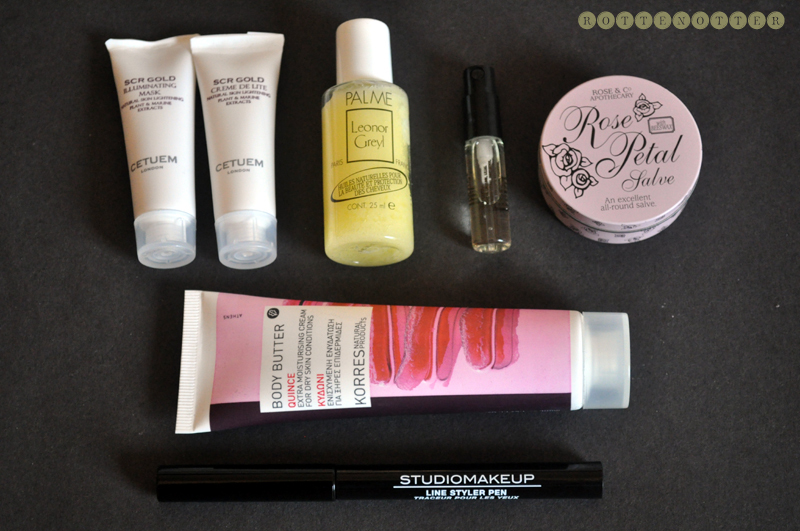 Great products, the fact that you get more than just tiny samples for some is really good too :) I really like the look of the eyeliner pen, I find those the easiest to apply as well.